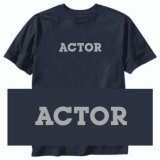 Actors must constantly update their skills to maintain their marketability. This costs money, which our everyday actor often does not have a lot of. One of the most cost-efficient ways for an actor to improve is to spend time reading some of the many wonderful books available on the subject. Even if you aren’t comfortable choosing a book for them, a gift certificate to a bookstore is a gift that any performer will be able to use. 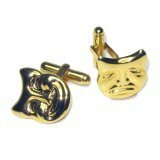 areuastar.com is a site that provides feedback on your star potential from real casting directors. With three different packages plus gift certificates available, a membership is affordable and would make an excellent gift for a young performer. Useful for taking notes and memorizing lines.